DESPERATE and starving Venezuelans have turned to eating rats, dogs and even zoo animals over the past year as spiralling hyper-inflation kills their economy. An estimated three million Venezuelans have fled the country since its economic collapse began in 2015. With all the tragedy and misery, it was difficult for many Venezuelans to find anything worth celebrating on its national day, January 23. The Episcopal Conference of Venezuela released a statement, signed by Monsignor Jose Luis Zeuaje Avala and the rest of the bishops, saying January 23, 1958, was an historic date for all Venezuelans. They said it was an inspiring sign of “triumph of social rationality in the face of the abuse of power, of the unity of the weak people before the dismantling of a regime of abuse, corruption and repression that hid all the evils that an authoritarian government can have”. The day, 61 years ago, marked the popular uprising that ended the dictatorship of Perez Jimenez and the return to democracy. “Today we meet again with another January 23,” the bishops said, Fides reported. “Faced with this reality that we have described as a national tragedy, people are asking for a change that includes a period of transition to elect new national authorities. The bishops said the marches organised on January 23 were a sign of hope, “something new that is starting to be generated in our country”. 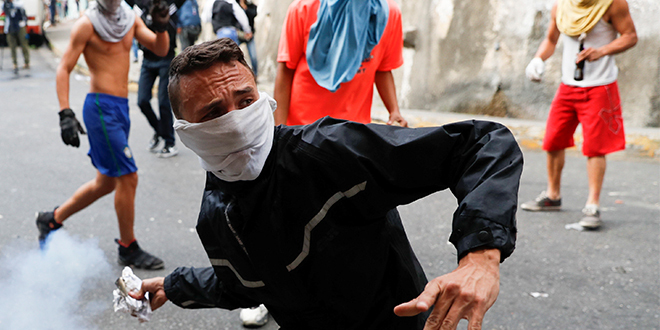 “We Venezuelans cannot be mere spectators of what happens in the country,” the bishops said. The bishops also called for reflection and prayer. At the moment, the opposition has become more cohesive and revitalised around the figure of the president of parliament, Juan Guaidó. The opponents of the government were to take to the streets on January 23, on the occasion of the celebration of the national holiday for the 60th anniversary of the end of dictatorship.